After reviewing the various options available we have concluded that the Coleman Event 14 Deluxe is the best option for camping in Australia. Read on for detailed reviews. An awesome oversized gazebo, perfect for camping in Australian conditions, the Coleman Event 14 Deluxe takes out our top spot for the best camping gazebos in Australia. With it’s sturdy steel frame, clever hexagon design, and superior weatherproofing, we think this gazebo provides the most reliable offering in terms of gazebos on the Australian market. The dome design means water doesn’t pool in wet conditions, while shock-corded poles provide strength in the wind. The canopy is made from fire retardant, 50+ UPF, waterproof polyester, meaning you are protected no matter what Mother Nature throws at you. There is even a single wall included so you can fully close one side of the gazebo for protection against sun or wind. Additional walls are available for purchase separately. It’s key advantage over the Coleman Event 14 Standard is the additional waterproofing provided by the 450mm waterproof polyester and heat taped seams. Another really clever offering from Coleman, the All Night Gazebo includes 6 built in LED lights meaning you don’t need to worry about organising separate lighting for when the sun goes down. 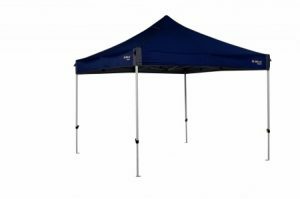 Similar to the Coleman Event 14 Standard, this gazebo is not designed for use in heavy rain. 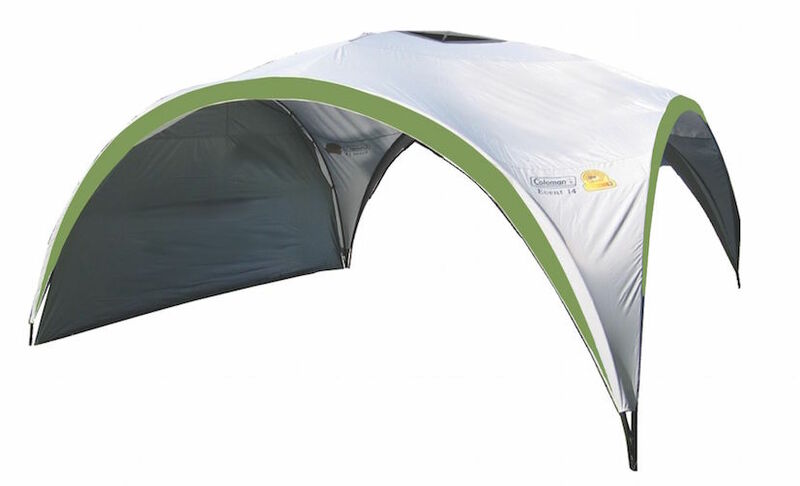 We recommend the Coleman Event 14 Deluxe if you are looking for rain protection. Another great option for the Australian outdoors, the Coleman Event 14 Standard provides a more affordable alternative to the Deluxe version. 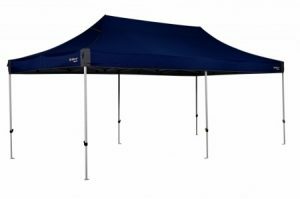 While not waterproof like the Deluxe model, this gazebo still provides a very sturdy frame along with 50+ UPF protection from the sun - perfect for events. 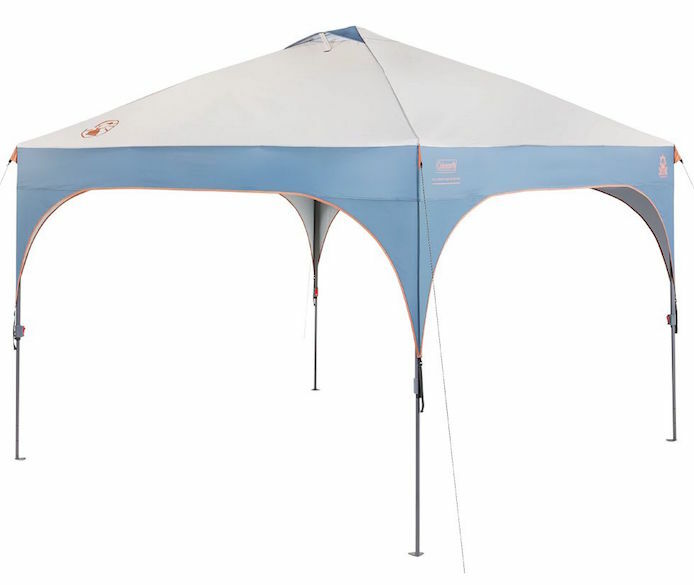 Probably the most common Gazebo in Australia, the Oztrail Deluze 3.0 is super popular for camping, farmers markets, and general outdoor use. It’s very quick to go up and down, reliable, and affordable. 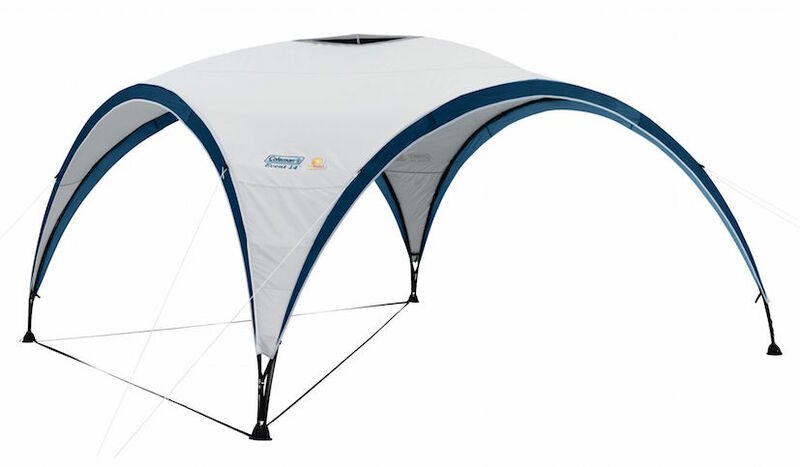 The canopy is made from a fire retardant waterproof polyester that blocks more than 98% of UV radiation, while factory heat taped seams provide additional protection in wet conditions. Frames are built from a high quality powder coated steel. Reinforced cross gables provide increased strength in windy conditions. Oversized moulded buttons allow for easy height adjustment. The Oztrail Deluxe can be put up and down by one person at a stretch but 2-4 people is recommended. There are several reports of pooling from heaving rain resulting in damage so we recommend caution is exercised in very wet conditions. Overall a great gazebo and an Australian favourite. With all the great benefits and features offered by the Oztrail Deluxe 3.0, the 6.0 provides significantly more coverage being an additional 3m in length. Perfect for camping with large groups, parties, or larger market stalls. 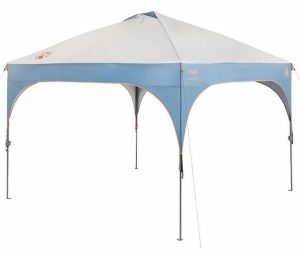 Like the 3.0, the 6.0 offers three options for canopy height – 193cm, 208cm or 223cm head clearance at the sides. The 6.0 is available in Navy Blue, Red, Green, Yellow and Black.